I remember watching the movie, A River Runs Through It back in the 90’s, where the complexities of the characters’ lives were navigated and understood through the art of fly-fishing. I decided then, that one day I’d get to Montana, stand in a cold river with hip waders, surrounded by beautiful nature, and try my hand at fly-fishing. Although all fishing requires some level of ability, fly-fishing seems an art onto itself. Knowing when to cast, where to cast, and how to cast, requires a combination of technique, timing and luck. It also requires a zen-like, meditative patience and the ability to become “one” with your surroundings and the act itself. It’s contemplative casting in the hopes that you’ll get “get a bite” and when that bite comes I can only imagine that it’s exhilarating, exciting and worth it. 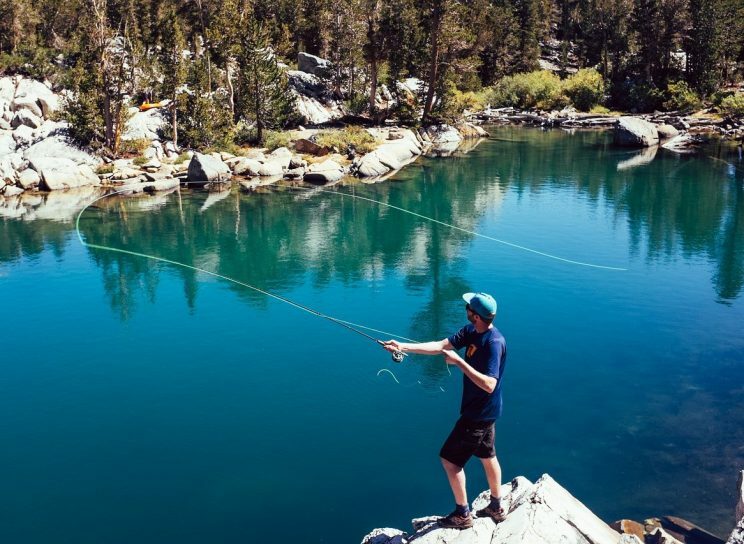 Working in today’s gig economy can seem very similar to fly-fishing at times and I think there are a few takeaways to be learned from this sport/art, to assist the adventuresome souls who embark on this particular career journey. Fish with a buddy. Fishing 101 tells us not to go it alone and it’s the same with gig work. Connect with other freelancers and like-minded professionals in your industry. LinkedIn is a great tool to start with, and later consider joining gig groups or creating discussion forums. These are great ways to stay engaged and keep in touch with industry trends and trendsetters. As freelance professionals, you can bounce ideas off each other and it keeps the work way more fun in my opinion. Keep your tackle box filled with various lures. As a freelancer, you’ll find that everyday is going to require a different approach to finding work. One day, you may be at a networking event, the next day at your computer for hours on end answering referral emails. Other days you may be writing articles about your industry or scheduling appointments with key persons who may offer additional work. The takeaway here is to be flexible and be willing to “cast off” with different lures from time to time, to see what type of opportunity takes a nibble on the line. And, when the nibble comes, pull back and set the hook! Be patient. The fish (or clients!) may not be biting today, but tomorrow the river could be filled, so be ready! Use slow times to catch up on record keeping, investigate new software or technology that can assist your work, or update a skill with additional training or credentials. Downtime can also be used to update your online profiles, develop a vlog or redesign your website. Freelance work tends to ebb and flow like the tide, so use quiet times to get organized and be ready. Know when to find a new fishing spot or cast off in a different direction. Some fishing spots just don’t cut it. They’re either over-fished, under-stocked, or you just might get bored looking at the same scenery after awhile. Whatever the case, don’t feel bad about trying a new location or technique. You may have to think in new ways and try something different that’s out of your comfort zone. Offer to present a free workshop through an area group or local Chamber of Commerce. Start a conversation with someone in a grocery line, giving some free advice and your business card for future reference. Add a new service to your business or focus on a niche market for awhile to see if you can gain some momentum. Fly-fishing requires being in touch with your surroundings and using your intuition to gauge when the time is right to cast in a different direction or to wade in a little deeper. Fishing isn’t for everyone, I get that. And, neither is freelancing and/or independent contract work in the rapid growing gig economy. But those who decide to try it out, are usually seeking the flexibility and autonomy that a traditional workplace may not offer. There are trade-offs such as consistency and stability for the professional adventure of charting your own territory and doing things “your way”. A steady paycheck for monetary droughts and floods. I also imagine that most fly fishers, don’t head to the river with the number of fish in mind that they want to catch for the day. They’re doing it for the experience of being at one with their surroundings and doing something they just plain enjoy it. So, if you love what you do, but not necessarily where you’re doing it, or how your being told to do it, maybe you’re a fly-fisher too, just waiting to get out there, cast your line and yell “Fish On!”.